Cannonball Bingo is one of the best bingo games we have ever played! 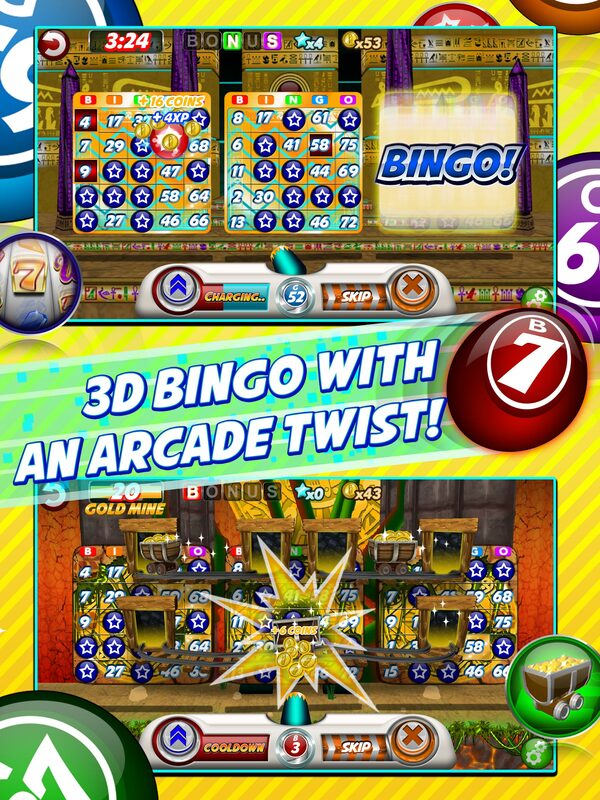 …although this could technically be considered cheating – since it is one of the few bingo games we’ve actually played on mobile…  That being said, as far as mobile games go, it really isn’t that bad. With not too many Ads (if any! ), a simplistic design, and loads of documentation, Cannonball Bingo makes it simple and easy for non-bingo players such as ourselves to enjoy the game and start learning how to become a better player. 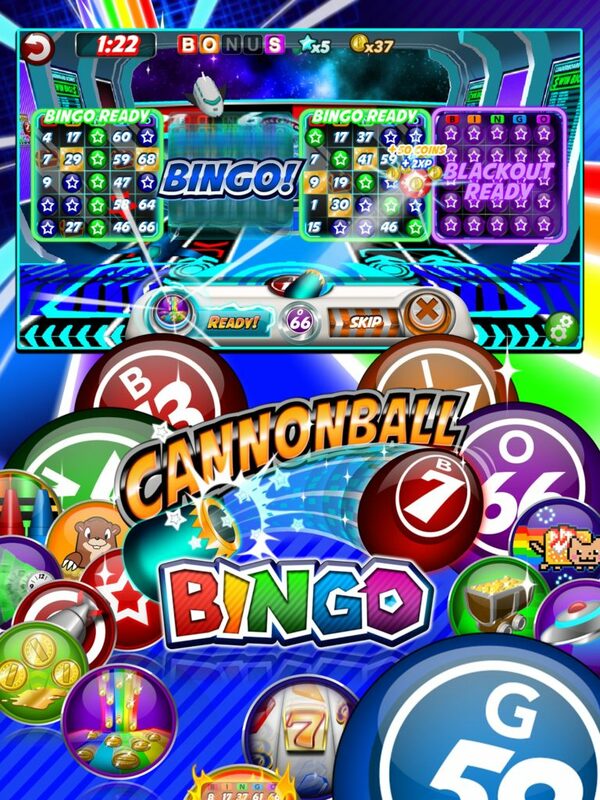 For starters, unlike the classic bingo games which you are probably already somewhat familiar with, Cannonball Bingo is a single player game, meaning (1) you aren’t competing with anyone online, and (2) the game can be played offline! 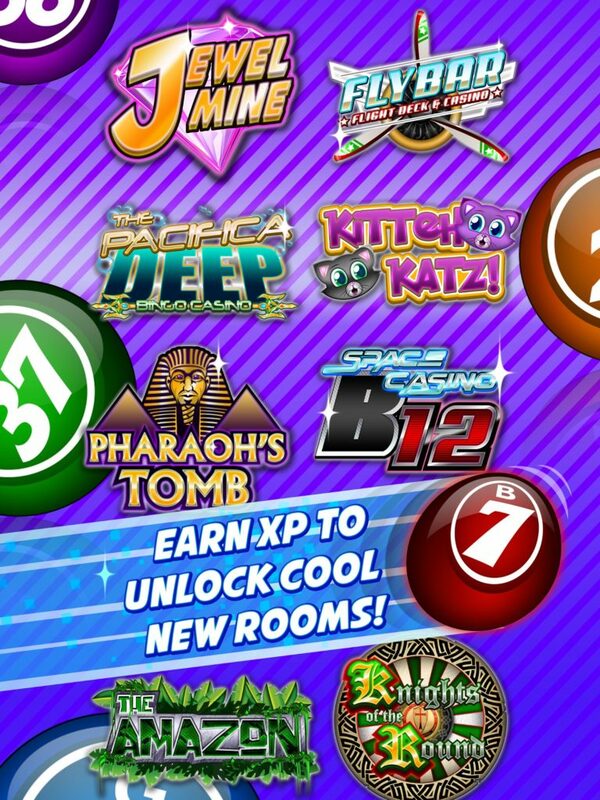 Moving on to the gameplay, Cannonball Bingo couldn’t be a more generous game. As well as the extensive documentation explaining how things work as they are slowly added into the game, Cannonball Bingo helps you find matching numbers as well as numbers you don’t have, making the game extremely easy to both learn and play. Considering most players play mobile games in an environment where devoting 100% of your attention to the game in front of you is virtually impossible, these small assists make playing the game way easier while on the fly. One complaint we do have hower actually has something to do with the very extensive documentation… Being a single player game, Cannonball Bingo is timer based meaning you are essentially battling against the clock. Although this in itself isn’t a bad thing, for new players, the timer doesn’t stop while you are reading the very extensive documentation, meaning you’ll lose the first few rounds purely because you spent half your time reading documentation instead of playing the actual game. 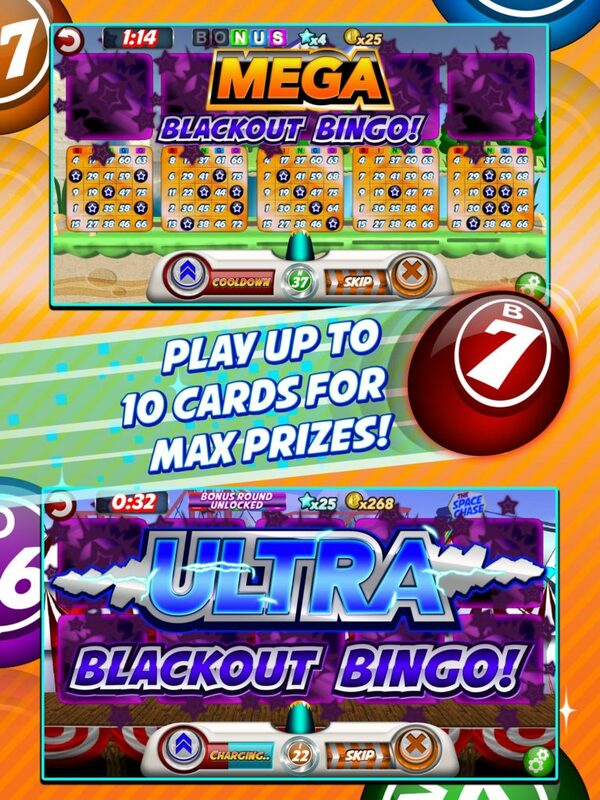 Also, although you’ll probably have no idea what we are talking about unless you actually download the game, Cannonball Bingo now rewards players with credits for Blackout Bingos which are fairly hard to get, but very exciting! Other than the small bug mentioned above, the UI (User Interface) could use some extra polishing in places. Most players should be able to make their way around the many different menu options without having too much trouble, however, it can be a bit of a tedious task to find the exact option you are looking for on the very first try. 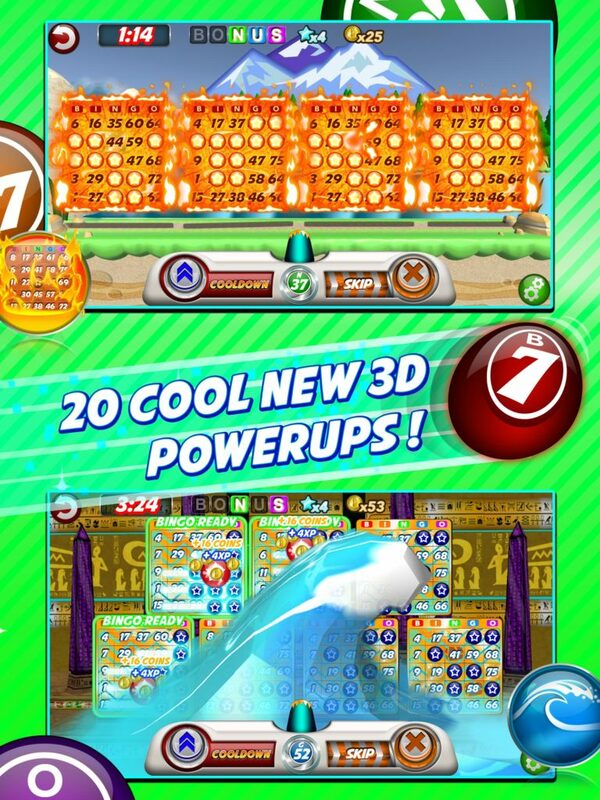 With tons of cool features, you’ll only find in a digital game of bingo – such as insane power-ups that would most definitely be considered cheating anywhere else – Cannonball Bingo is the perfect cross between a fully fledged action game and card based number game you totally need to try! Other than the small annoyances we mentioned above, there really isn’t a lot to complain about in this game. With simple controls, tons of documentation, a clean design, and more features just around the corner, Cannonball Bingo may just be our favorite bingo game of all time!